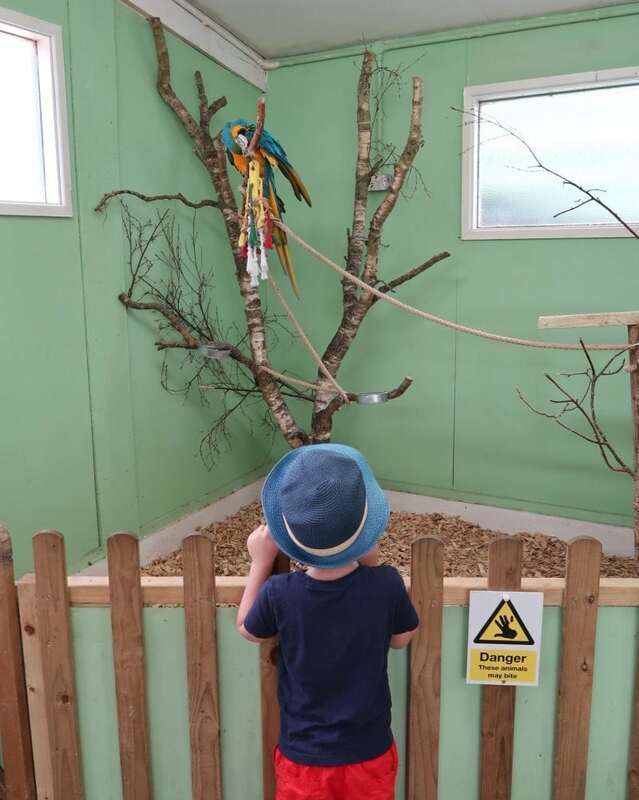 All Things Wild Evesham is a family attraction that seeks to help people of all ages enjoy and learn about nature. The park also boasts a wealth of activities for all ages. 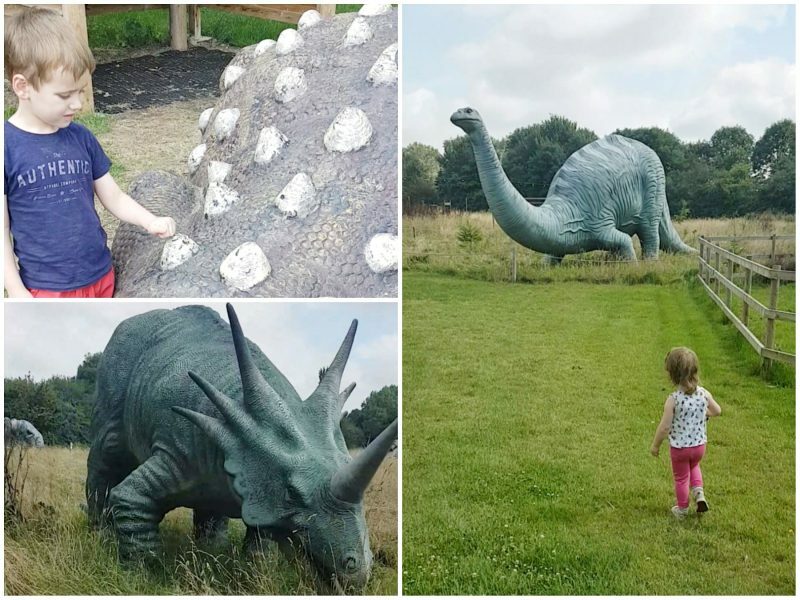 From soft play and go-karting, to their ‘Step Through Time’ dinosaur experience – there should be something to interest everyone. All Things Wild Evesham also offers great daily activities like bug hunting and pond dipping sessions. 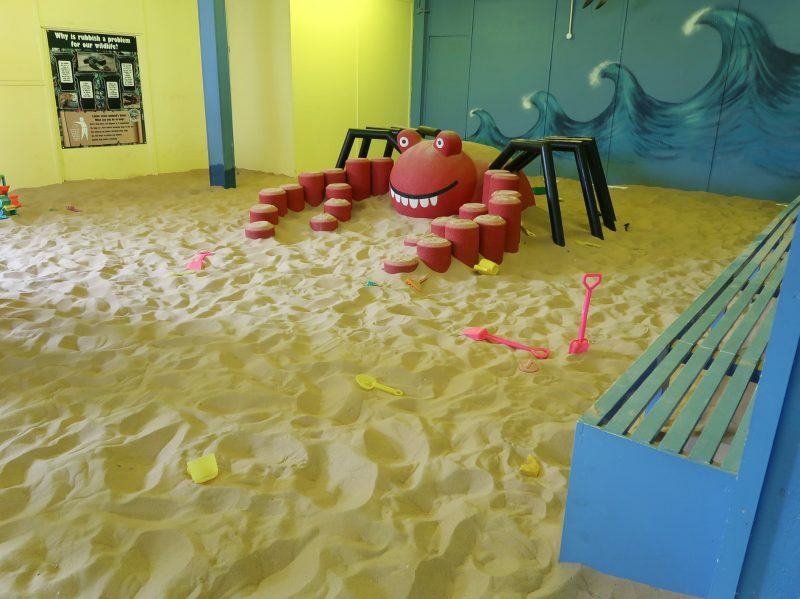 There are also other indoor attractions like the giant sandpit, meaning there are lots of things to do, even in poor weather. 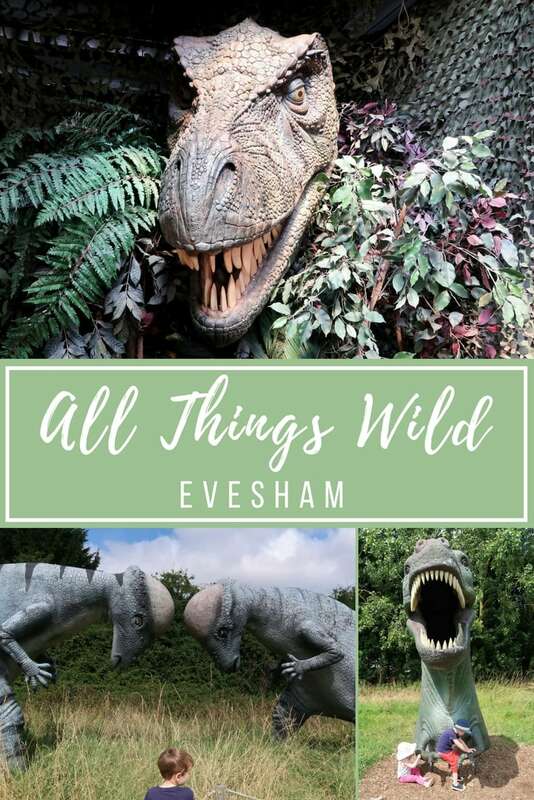 We chose All Things Wild Evesham as our first summer holiday trip. Biggest is fascinated by dinosaurs and Littlest love animals and so we hoped they would both be engaged. Our first stop was the Dinosaur Barn. Although it is not near the entrance to the park, we knew that Biggest would not cope with waiting for the dinosaurs. Therefore, we decided to head straight there. The models of the dinosaurs in this section are genuinely impressive and the whole barn is very atmospheric. Biggest is holding his ears here because of the realistic sound-effects coming from the exhibits. 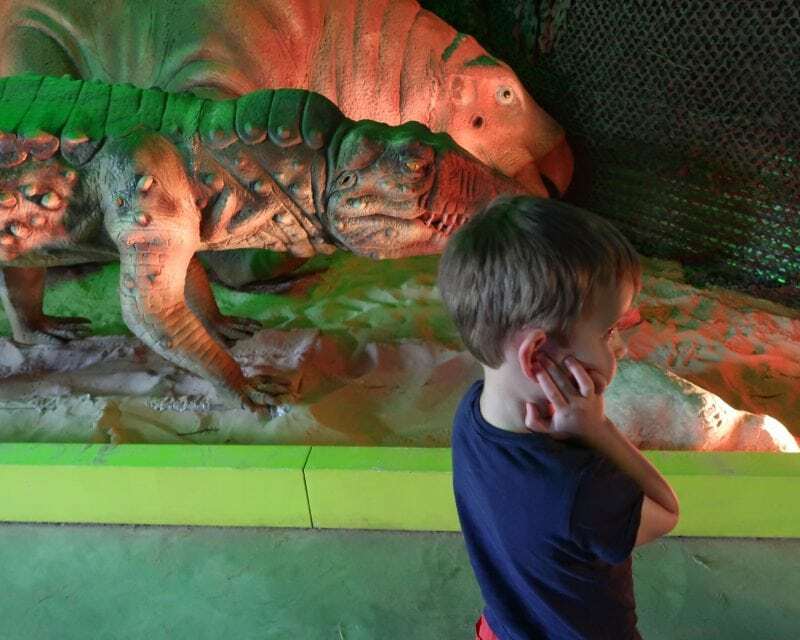 He was mesmerised by the one animatronic dinosaur that we found and we stayed looking at that for several minutes. There was also a really interesting display that explained how the robot dinosaurs work – something else that fascinated him. However, as we moved through the barn, I assumed there would be more moving dinosaurs, and I asked him to look for them. I do not know if some were out of service but we did not find any others and Biggest, who has autism, was quite upset by this. I felt sure that some of the others, like the one above, should move. 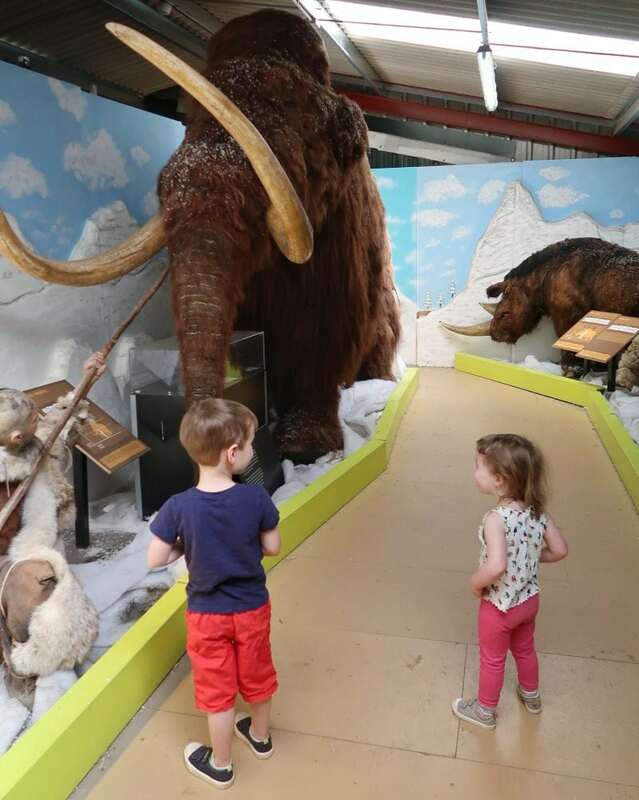 We visited All Things Wild Evesham once before, but Biggest was too small to remember. I thought I remembered other models moving – but they did not while we were there this time. The rest of the models were very well done and very interesting to read about. However, Biggest was only really interested in finding more moving dinosaurs. There seemed to be other interactive screens and activities that were not working too. 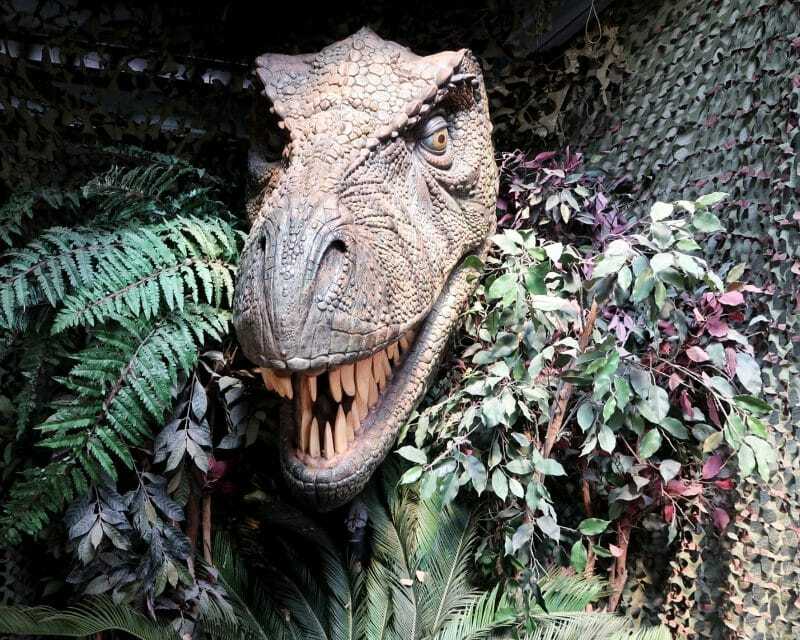 When Biggest became distressed because we could not find any more animatronic exhibits, we made our way out of the Dino Barn and headed for the ‘Step Through Time’ Dinosaur trail. 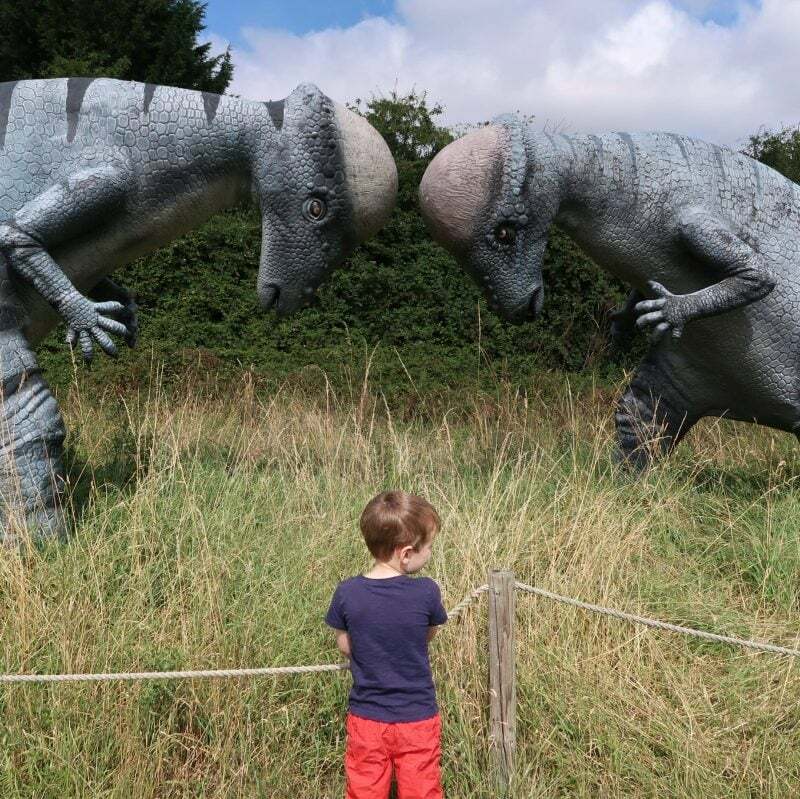 This walk around the outskirts of the park has some larger dinosaur models. You are instructed to imagine that you have travelled through time and there are signs suggesting that you should not feed or touch the animals, all adding to the feeling that you are being transported back to the land before time. This section of the park is outdoors, and so may not be appropriate for all weather. It is also a fairly long walk for very small children. Littlest, who refused the buggy these days, was a bit hot and bothered by the end of the walk, but it would have been fairly accessible for those with a pushchair. Biggest found the larger models slightly less engaging that the ones in the barn – I think because he found the lighting and sound-effects so exciting. I would suggest doing this part of the park before going to the Dino Barn, to build suspense. The bigger models were impressive in terms of conveying the size of dinosaurs, but the atmosphere in the Dino barn was a little more magical. Biggest is obsessed by buses and All Things Wild Evesham boasts a cafe inside a double-decker. I made the mistake of telling him that we would stop at the bus. Unfortunately, it was closed. This meant we had to make our way back to near the entrance in order to purchase refreshments. There are a range of meals on offer in the main cafe, however, and a meal deal for children. 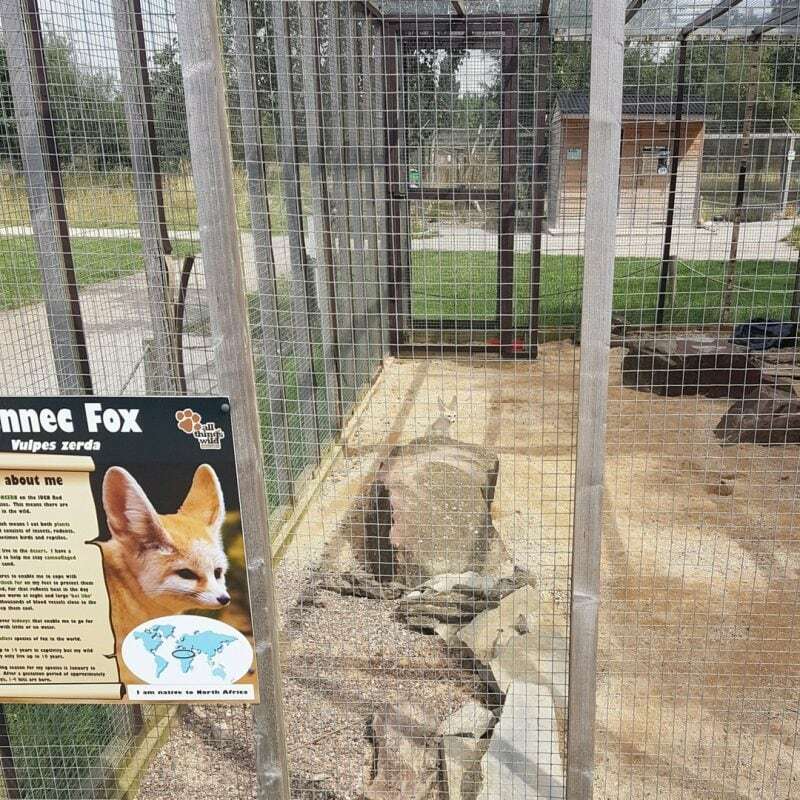 It was a gorgeous sunny day on our visit but we found several of the larger animal enclosures seemed empty. Perhaps some of the animals were hiding or avoiding the sun. The larger animals we did see, however, were captivating to Littlest, especially the deer. 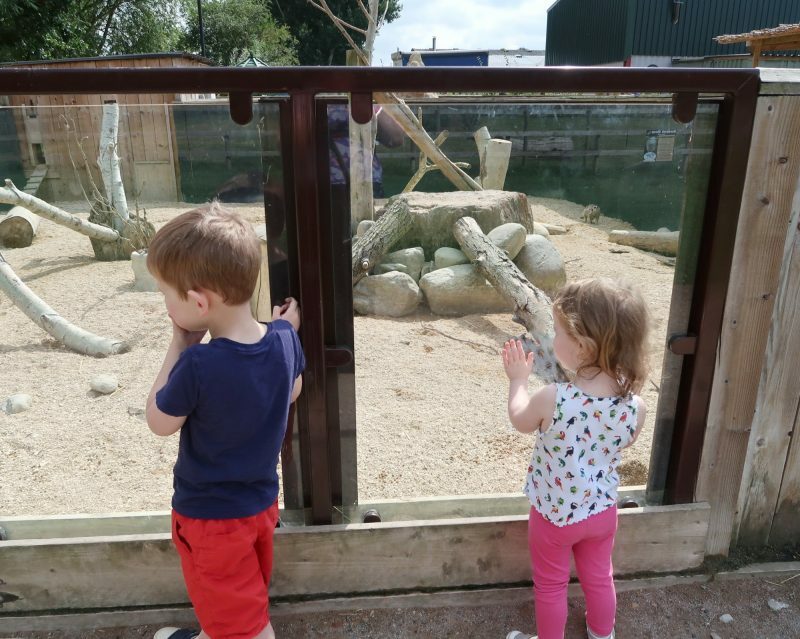 The smaller animal enclosures nearer the entrance, and the indoor pens for smaller animals, seemed to interest the children a great deal more. Another huge hit was the meerkats. You cannot see them too clearly in this picture, as they were moving around a lot and it was hard to get clear shots, but the children were amused by their antics for several minutes. 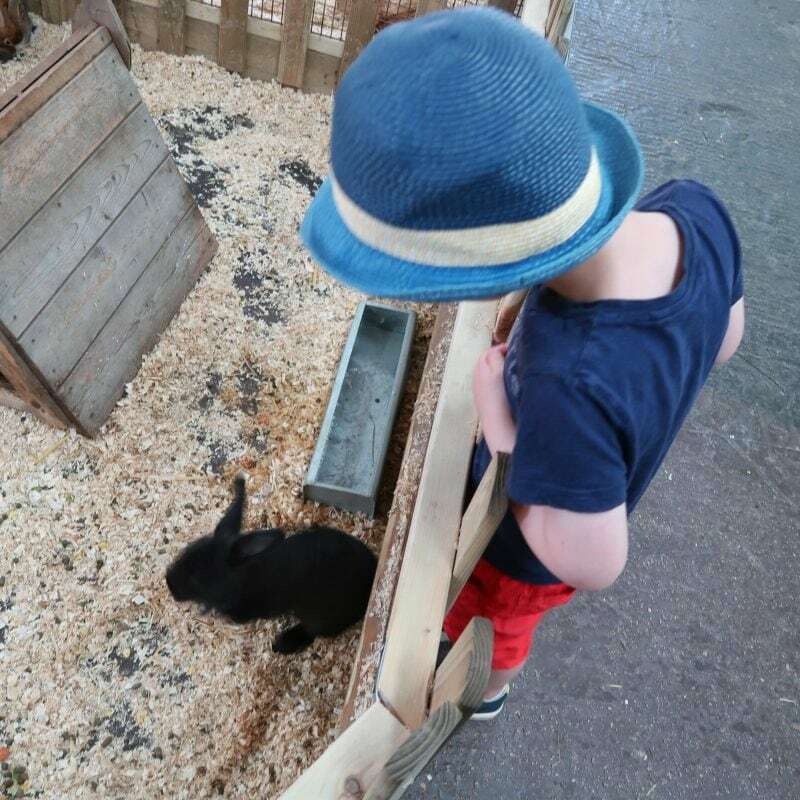 The smaller animals were more interesting to both children and there are opportunities to hold and pet rabbits and chicks throughout the day. Littlest really loved the smaller, fluffier creatures. We did not spend much time in the outdoor play park. It was aimed at larger children and quite busy. 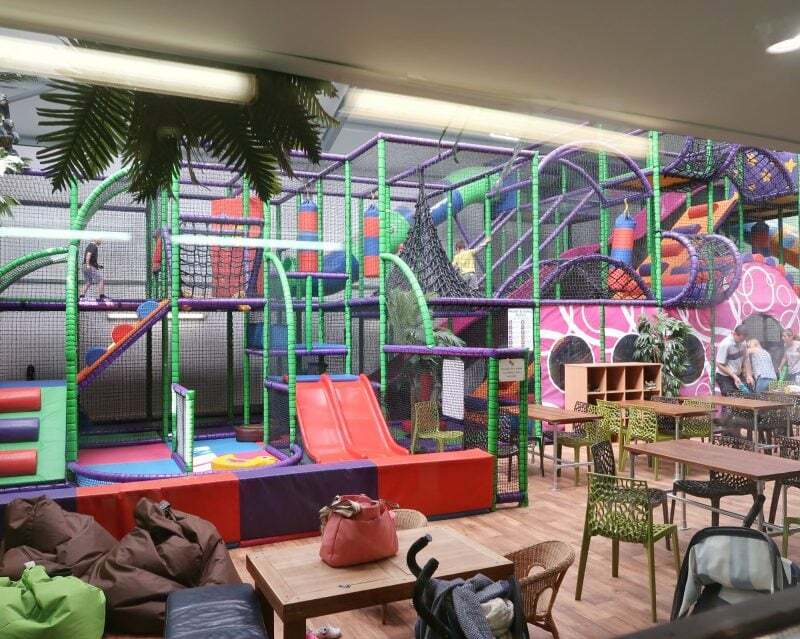 Likewise, the soft play and giant sandpit were a little too much for biggest to cope with, after the other attractions, so we decided to avoid them for this visit. However, both looked impressive and provide children with other activities to do if the weather takes a turn for the worse. 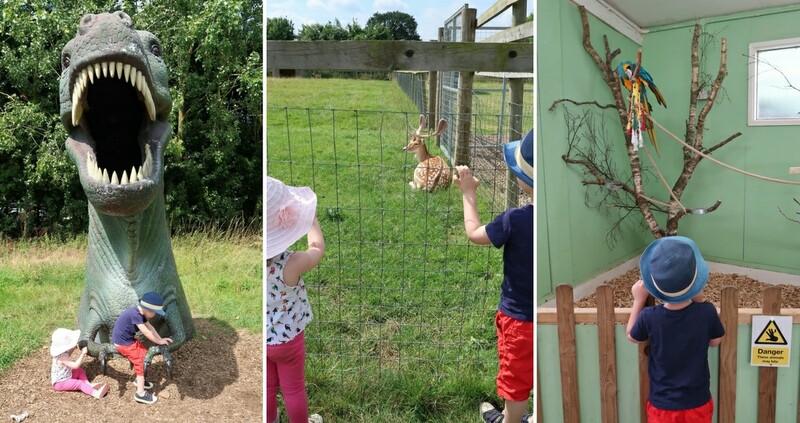 They also mean that there is quite enough to keep the kids entertained for most of the day, even though All Things Wild Evesham is smaller than most zoos and wildlife parks. 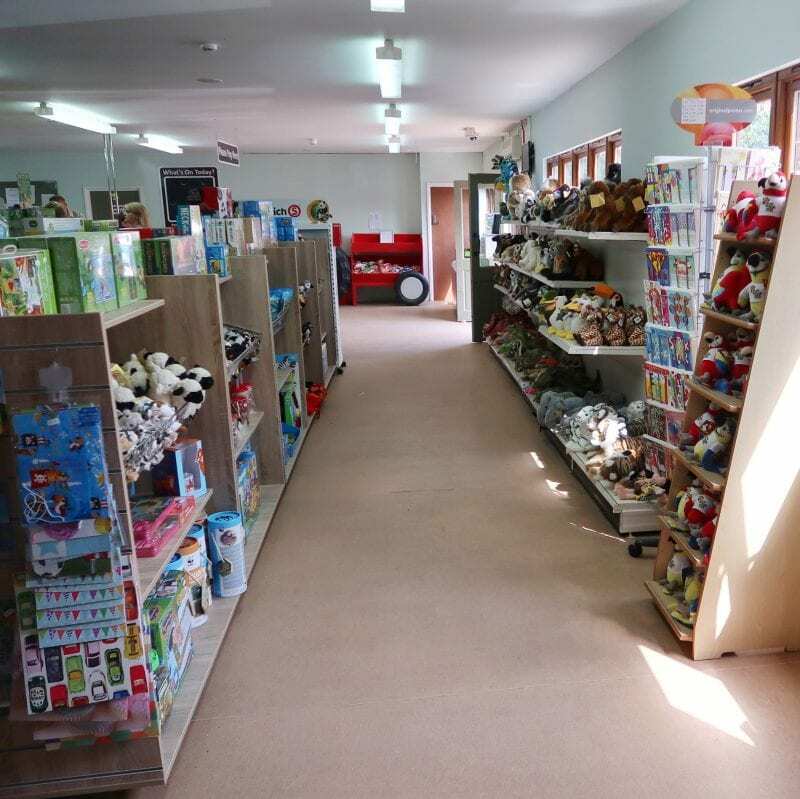 There is also an extensive gift shop with all manner of wildlife-themed soft toys and other paraphernalia. It is quite a challenge to get out of the building without the children demanding something – be warned. Please note – All children under 16 years must be accompanied by an adult. 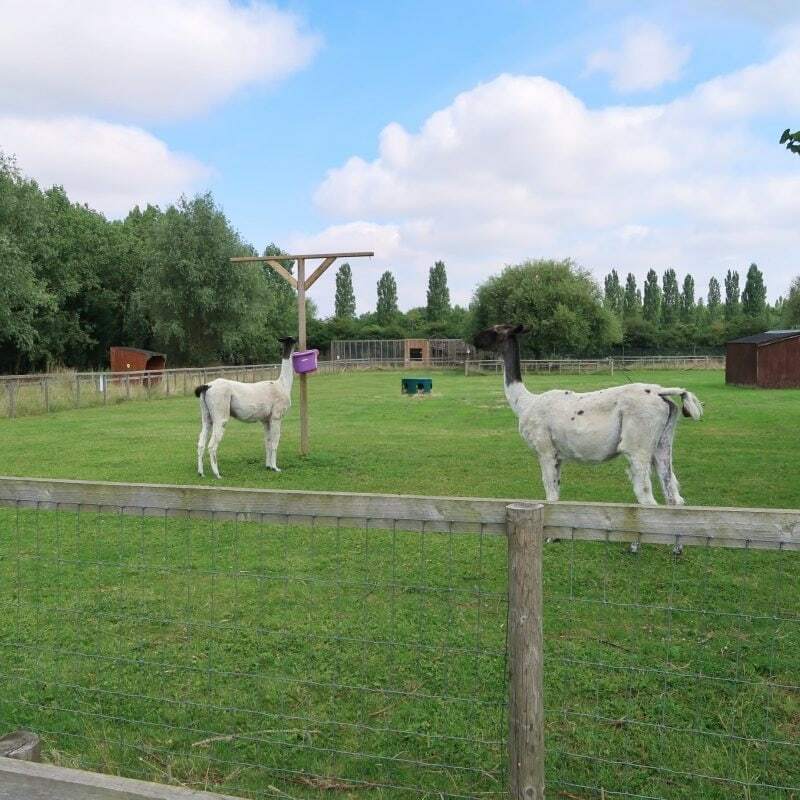 I think these prices are a little expensive, especially in comparison to similar attractions we have visited, such as Jimmy’s Farm (Essex) and Tattershall Farm Park (Lincolnshire), which are £6.00 and £5.50 for children over 2 respectively. 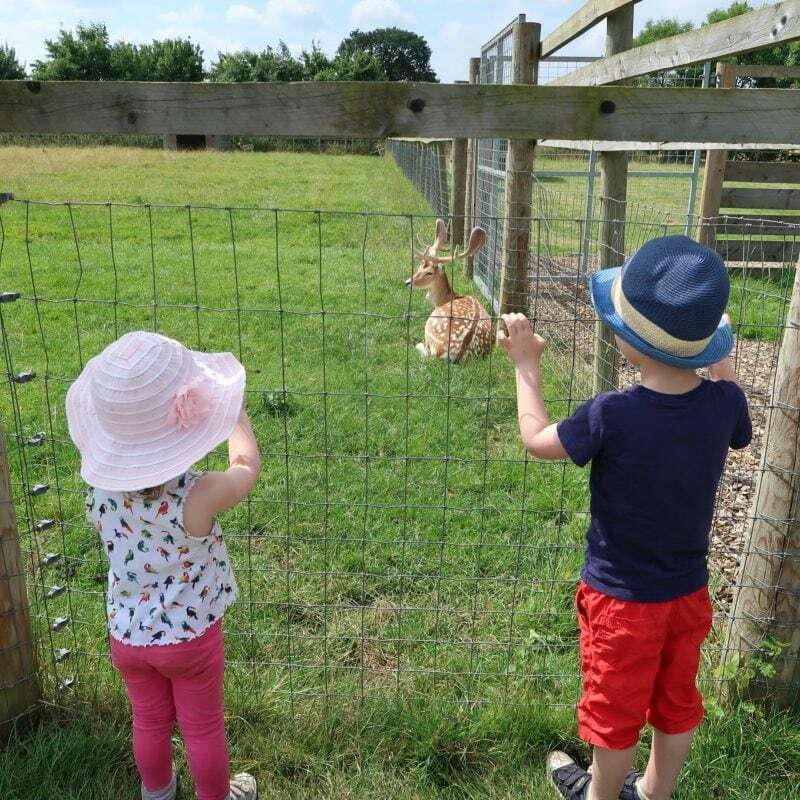 The prices at All Things Wild Evesham are closer to those for bigger attractions, like West Midlands Safari Park. A family outing to All Things Wild will soon cost us £41.96. 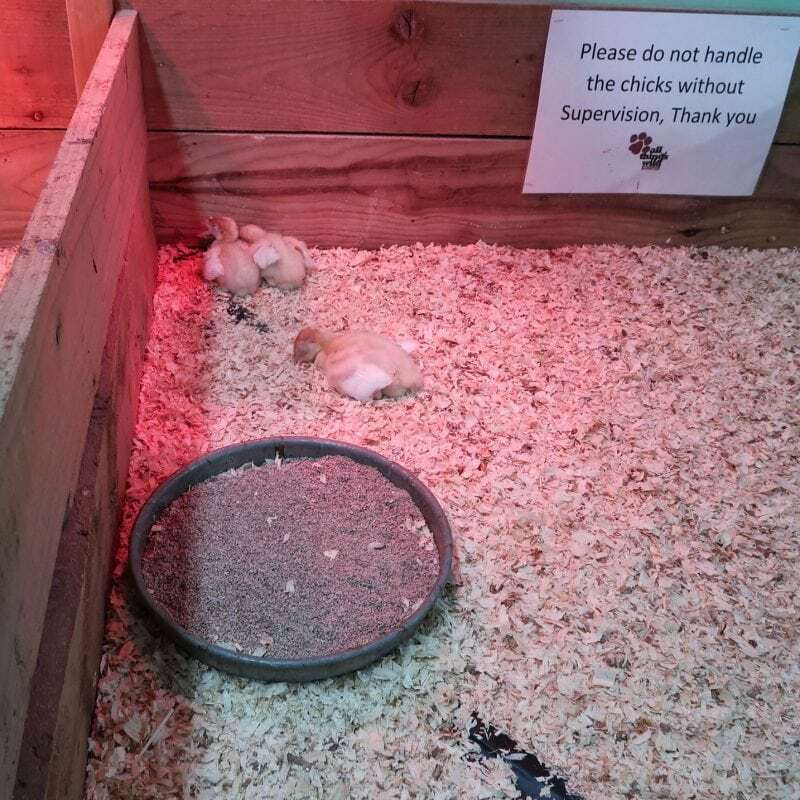 In comparison, this would cost £24 at Jimmy’s Farm and £21 at Tattershall Farm Park. Both of the cheaper parks had similar attractions and activities. Overall, I think All Things Wild is a good family attraction. However, I think I would need a family of four pass or other discount to consider returning soon.